Time Inc. has 95 iconic media brands that serve 81 million online visitors every month who generate ad inventory they sell to advertisers. Time’s content development effort is vast, varied and complex, so coordinating SEO efforts is extremely difficult. Time’s SEOs face duplicate content, lack of thematic grouping by keyword, non-optimal internal links, and significant crawl and redirect errors. The holidays present a significant opportunity for a media company, but also create narrow time bands in which to enhance and optimize the site for SEO. Travel and Leisure and 4th of July, Halloween, Thanksgiving, and Christmas topics represent 9.7 million+ search query volume. 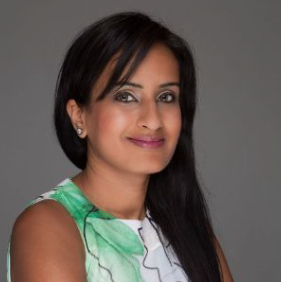 Binti Pawa, Head of SEO for Time Inc.'s Affluent Media Group, works on such brands as Travel + Leisure and Food & Wine, where she is responsible for leading, developing, and integrating SEO and content strategies. Pawa approached the holiday opportunity by doing a site audit, creating a keyword content model, and using the keyword and content features of the BrightEdge platform. In addition, Pawa resolved over 500 crawl errors. She also executed the kind of fundamental internal link and anchor text recommendations provided by the On-Page Recommendations of the platform. Sitemaps were improved, rich snippets were added, and duplicate landing pages were removed. After doing all the technical work, she found her best keyword opportunities and built content around it. And the results were stunning. In the 4th of July season Time improved its Page 1 Food & Wine 4th of July rankings from 2 keywords to 7, which led to a 30% gain in organic traffic vs. 1 year earlier. Overall Food & Wine Page 1 ranking keyword count improved from 620 to 757, which produced a 34% increase in traffic and ad inventory. Travel and Leisure keywords ranking and traffic increased 45%. Pawa found that tracking, tools, timing, and planning are critical to capture the significant seasonal search volume and that 3-4 months is the appropriate lead time required for SEO success.